In Albania, legend has it that staring into the almond-shaped eyes of the Balkan Lynx renders you blind. But today, sightings of the rare wildcat have become so unlikely that conservationists have raised a red flag about its future. Only about 40 individuals of the animal still roam the mountains of Albania and neighbouring Macedonia, according to estimates by the International Union for Conservation of Nature (IUCN), which in 2015 classed the "Lynx lynx balcanicus" as critically endangered. Since 2006 a regional initiative has been under way aimed at preventing the lynx from becoming extinct. 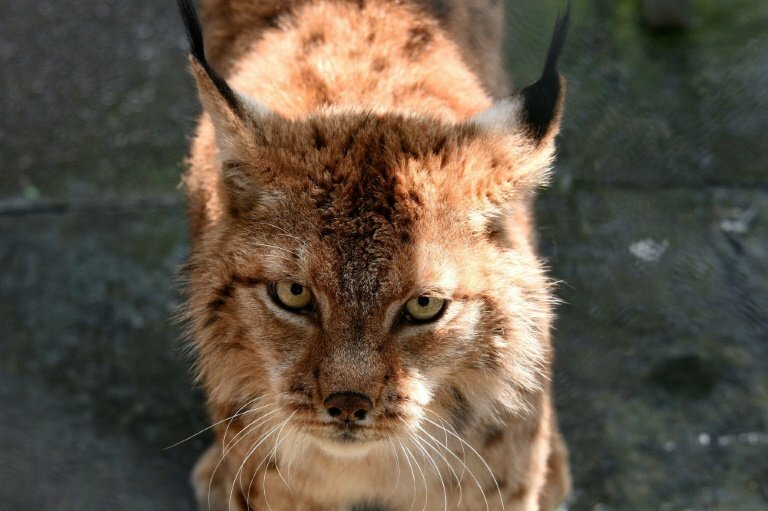 Now, Albania, Kosovo, Macedonia and Montenegro are all part of the programme to expand protection zones for the Balkan Lynx, raise awareness, especially among youngsters, and combat deforestation and poaching. It is a challenge, but there are signs of hope. "This lynx was spotted on April 16 at 3:50 a.m.", says Aleksander Trajce, head of Protection and Preservation of Natural Environment in Albania. Examining the photograph of what looks like a big spotted cat with very pointed ears walking in the snow through the night, his excitement is obvious.